Bottom Dump Earthwagons | Maxter Mining Products Ltd.
Maxter has been one of the main suppliers of Bottom Dump Earth wagons since 1973. We have produced trailers in capacities from 35 tons (31 tonnes) to 160 tons (146 tonnes). 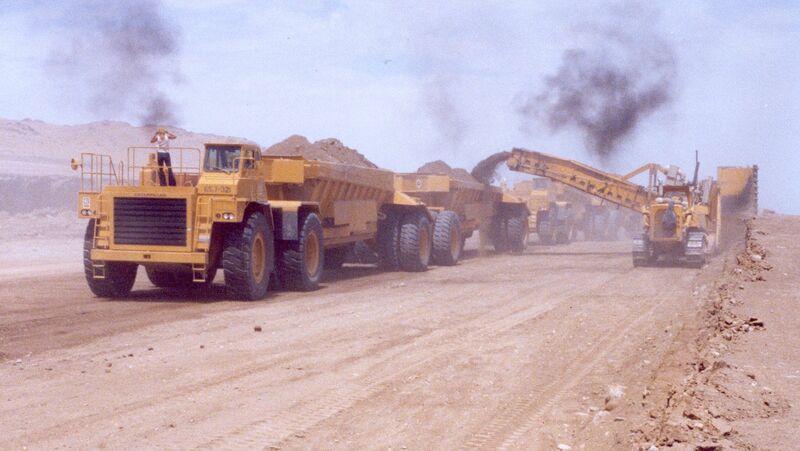 Most major construction companies in North and South America have used these haulers extensively. They have been utilized to build some of the largest hydro-electric dams in the world. Maxter trailer trains have been in service in varied conditions, ranging from the hauling of materials to build gravel islands on the north coast of Alaska, to the construction of major airports around the United States. Earth wagons dump while in motion thus spreading the load in a uniform manner and at the same time decrease haul cycle times. 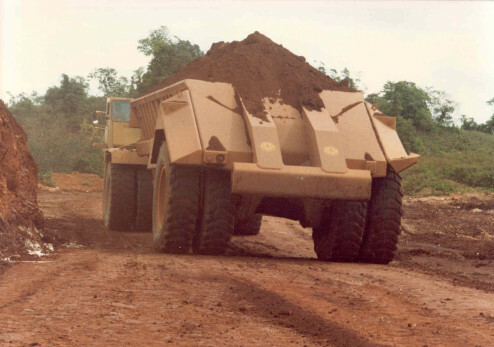 Earth wagons can haul up to 70% to 90% above the payload the prime mover would normally carry on its back. Rugged gooseneck design fits four way yoke type hitch thus reducing stresses on the truck chassis. Rear arched axle design minimizes drag caused by “grading” of the windrow. 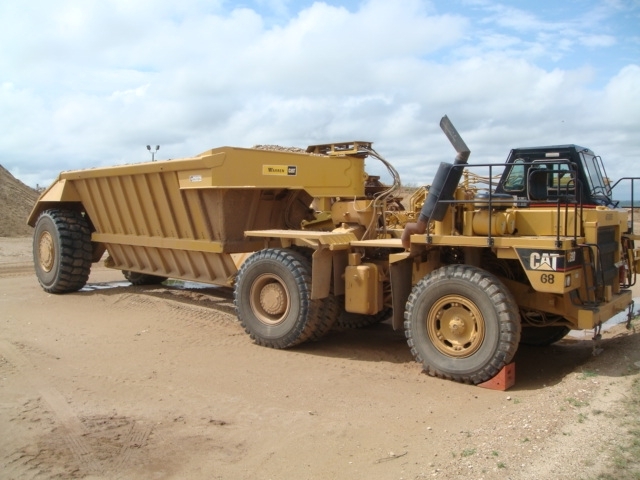 “Quick-Dump” doors with a fail-safe hydraulic system assure constant dump control.